At the time of booking full contact details will be required and payment must be received in full by credit / debit card or cash. Personal cheques will not be accepted. For operational reasons tents are only permitted after Easter until end of September and numbers may be restricted at peak / wet times. Tents cannot book online and must contact staff by telephone or in person to book a pitch. 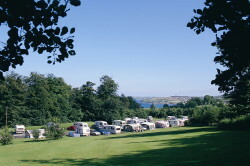 At the discretion of Park Management, advance bookings can be accepted for any stay during March, October and November or Monday to Thursday at all other times during the caravan or tent season (excluding Easter week, 12 July fortnight, bank holidays and the Halloween holiday weekend). Online booking available by clicking here. From January to March and October to November caravan park bookings, by telephone or in person, are handled by The People's Park reception staff on T: 028 2563 3342 or E: peoples.parkreception@midandeastantrim.gov.uk.